I have discovered a new quick meal base. Last Sunday, I browned a pound of organic ground beef with a pound of chorizo. That's it. No other seasonings. After it all browns together, I drain it (because the sausage has lots of grease) and put it in a container. I put it in the ice box, where it will patiently wait for an opportunity to save dinner some night during the week. I used the mixture two different ways. 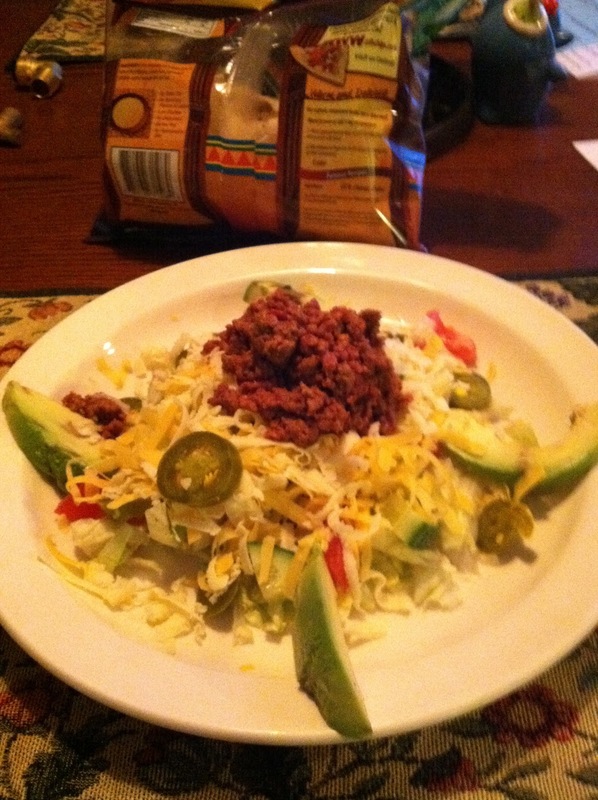 The first dish I made was a basic taco salad. I shredded some iceberg lettuce, tossed in some pickled jalapenos, shredded sharp cheddar and pepper jack, chopped tomatoes, onions, cucumbers, salt and pepper. I put a scoop of the beef/chorizo mixture on top (after warming it in the microwave) and served it with some homemade chipotle ranch dressing. I put chips and sliced avocado on the side. 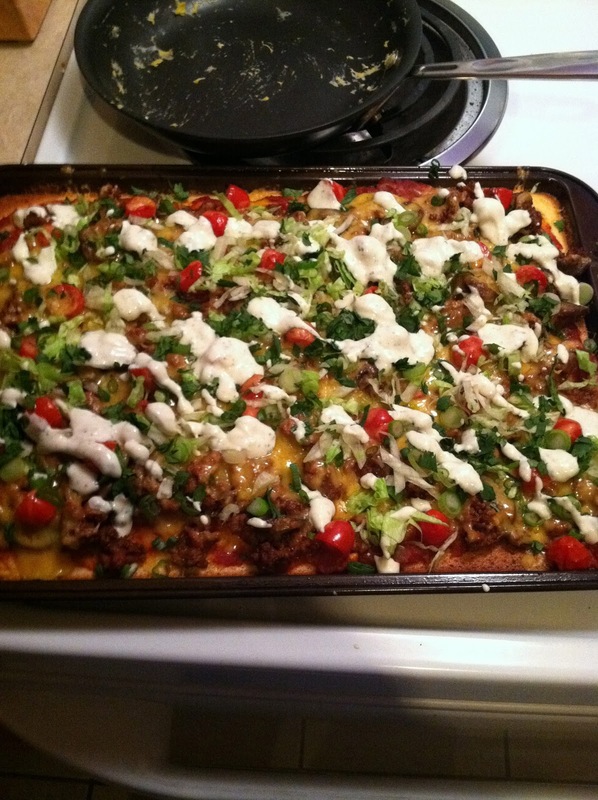 The second meal it provided was a taco pizza. I cheated and used a store-bought thin crust from Pillsbury. I pre-baked it for about 7 minutes. I topped the crust with home made enchilada sauce, then used the rest of the beef/chorizo mixture, chopped grape tomatoes, chopped scallions, shredded iceberg (added after it came out of the oven) and shredded cheddar. I also added a lime crema to the top before I plated it.